Ugo Mifsud Bonnici, KUOM (born 8 November 1932) is a Maltese politician. 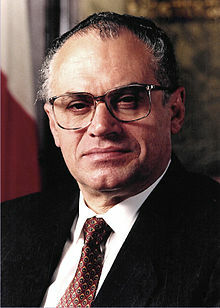 He was the fifth President of Malta from 4 April 1994 until the same day in 1999. This page was last changed on 12 July 2018, at 05:58.